George the Snail was the last survivor of a snail species found only on the Hawaiian island of O'ahu. George the snail was approximately 14 years old when he died on New Year's Day. He was a member of a species called Achatinella apexfulva — the very first local Hawaiian land snail encountered by Western explorers in the late 1700s. They were once common on O'ahu. But by 1997, only 10 known specimens remained. 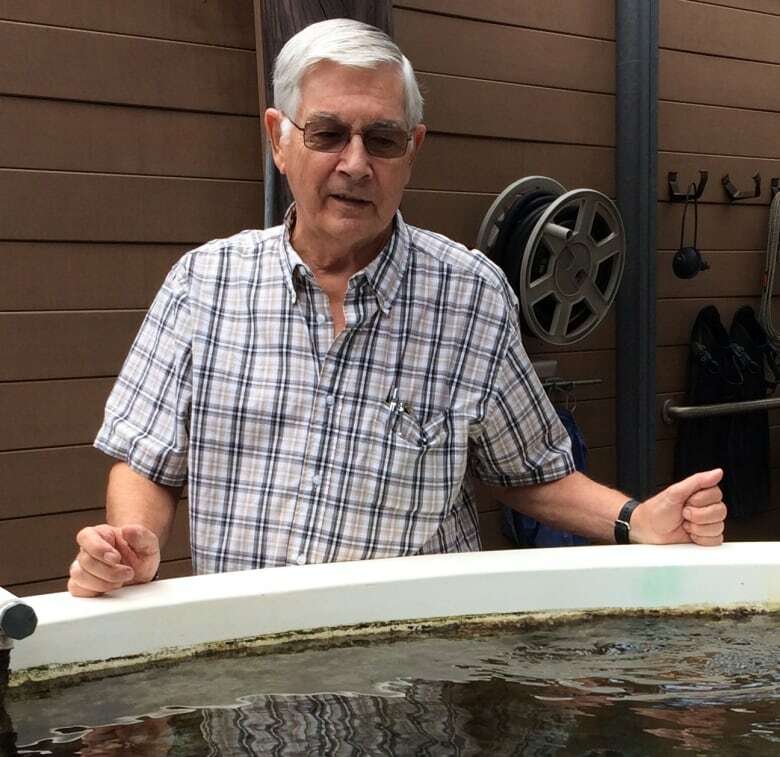 In an effort to save the species, those snails were collected and bred at the University of Hawaii. George was the only one of the offspring to survive. Michael Hadfield, the lead biologist behind the breeding program, spoke to As It Happens host Carol Off about George. Here is part of their conversation. Professor Hadfield, how did you take the news that George the snail had died? Without surprise, but with sadness. We knew that that snail had been living all by itself. And so it was not a surprise. But still, I think all of us who had watched that snail survive for so long all alone were saddened by the news. What did George look like? He was not quite an inch long, and sort of a dull, greyish brown with white banding. So he wasn't a particularly spectacular one. The species, Achatinella apexfulva, often came in shades of grey that were almost blue. There were some very handsome ones, from almost black to these light-grey ones, usually with some white banding. A kind of turban-shaped shell, not a really steep-pointy one. So he was from a handsome species of shells. What did his death represent to you and the other scientists? The end of another species. And another is an important word there, because we've been watching these tree snails vanish from the forest for a long, long time now. In the mid-1970s, populations of tree snails that we'd been studying for years were literally exterminated right in front of our eyes by the predatory snails and rats. So it's kind of a significant, signalling extinction that we've literally seen the last snail go. Also the rosy wolfsnail — brought to the island to control agricultural pests, and just became an insane destroyer of species. Tell us about the wolfsnail. So somewhere in the 1930s, somebody deliberately brought in giant African snails. And they exploded here. People's orchids and their garden plants were being devoured. 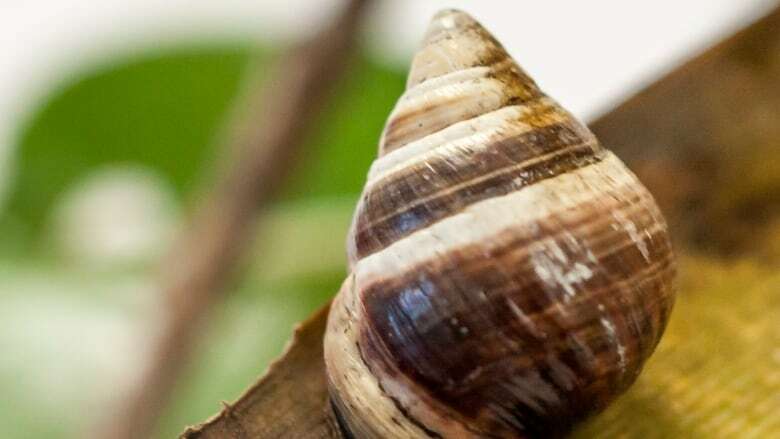 And so to combat the African snail, they brought in Euglandina rosea, the wolfsnail — and released them on O'ahu, and then claimed various successes for combating the African snail, which really weren't true. Instead, what the Euglandina rosea did was moved up into the mountains and began eating the native snails. Euglandina can find the slime trails when the snails walk, and follow them to eat their prey. So when it's through, the area is pretty much barren. Do you feel there's anything you or other scientists can do at this point to slow down the destruction of species like George? In the 1980s, as we watched so many populations of snails vanish, I decided that we had to try to take some of them out of the forest and save them. And so we set up a laboratory at the university of Hawaii, and learned how to keep the snails safe while they increased in numbers. That lab eventually was taken over by the state. And they have a whole small building devoted to it, and these big state-of-the-art environmental chambers, and really good people. So I think they now have over 2,000 snails there. And that's where George was living with 10 or 12 other species that they're propagating regularly. And then in the field, now there's a total of six or seven exclosure fences. So you take an area in the forest where there are still snails existing, and you build a fence around it. And then you put every kind of barrier around that fence you can think of that will keep out both rats and the predatory snails. And within those exclosures, the tree snails populations are thriving, while outside those exclosures they're in steep decline. So those are two ways — expensive ways — that the state, and the federal government and the army and environmental groups are all investing in trying to preserve some of that native biodiversity. Written and produced by Tracy Fuller. Q&A edited for length and clarity.